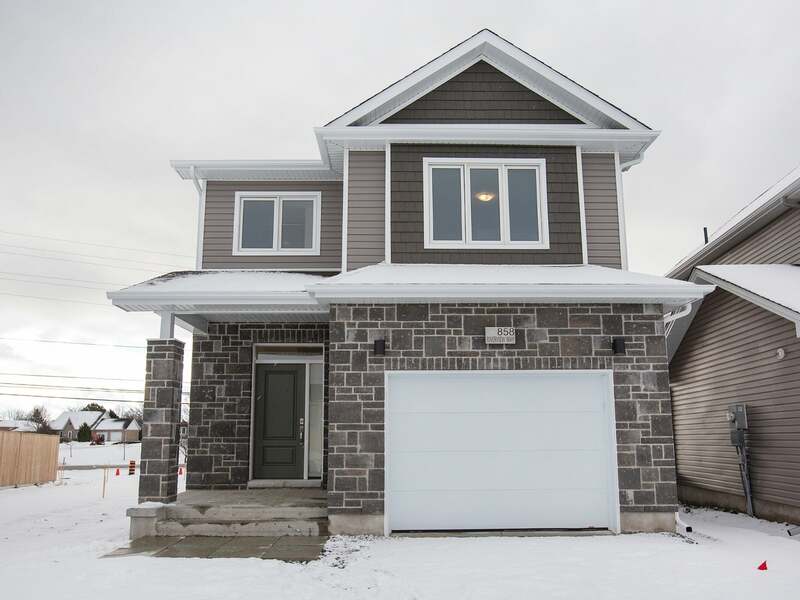 Quality built by CaraCo in Riverview, set on a premium lot with no rear neighbours, this 'Weston' model features 1,840 sq/ft, 3​ ​bedrooms, 2.5 baths and upgraded finishes including 18 x 18 ceramic tile in​ ​foyer, laminate flooring to main floor living areas, 9ft ceilings to main floor and large main floor windows with​ ​transoms. Upgraded kitchen cabinets w/extended uppers, quartz countertops, pot lighting, large centre island w/extended breakfast bar, built-in stainless steel​ ​microwave and walk-in​ ​pantry. Spacious dining area overlooking the living room with vaulted ceilings and gas fireplace. Main floor​ ​laundry/mud room with access to 1.5 car garage. Upstairs offers 3 bedrooms​ ​including large master with additional transom window, walk-in closet and 4-piece ensuite with soaker tub and 5ft tile shower. Basement ready for finishing featuring upgraded window,​ ​rough-in for future bathroom and more! Ideally located just steps to brand new Riverview Shopping Centre and minutes to schools, CFB and​ ​Downtown Kingston.​ Available for March 1, 2019 move-in. Please send me more information on 858 Riverview Way, Ontario. Thank you.